Our club started life right in the heart of Crowborough in 1905 as one of the leading small rackets clubs in Sussex. Today we continue to promote sport and healthy activities for the whole family. We welcome players of all ages and abilities. We ensure we have something for everyone. 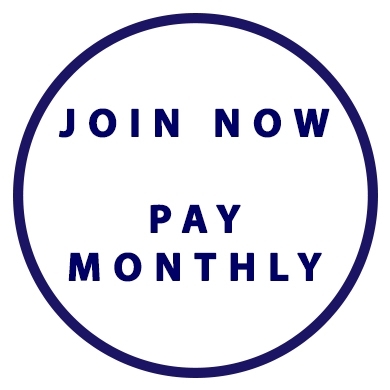 You don't need to be a member to play at the club you can simply 'Pay and Play'. There are however great benefits to becoming a club member! The club has growing tennis, squash and racketball sections, playing both socially and competitively in the Sussex and Wealden leagues. 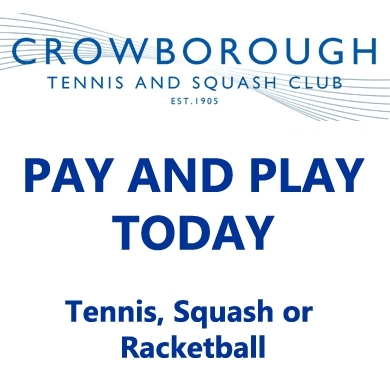 Our tennis coaching is provided by CTA Sussex (Crowborough Tennis Academy) based here in The Pavilion. Our Squash and Racketball section continues to go from strength to strength with our Men's Sussex 1st Team competing in the Sussex Premier Division. For squash and racketball coaching The Luke Credland Squash Academy offers something for all ages and abilities. When you need to unwind after a hard day on court, we have a fully stocked bar and a comfortable lounge. 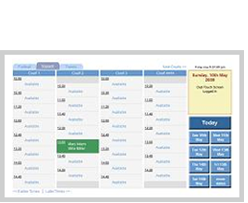 We have a growing social calendar with a host of great events available to both members and visitors. Make sure you check out our Also at the Club section to see the great variety of health and wellness activities offered by our club partners.